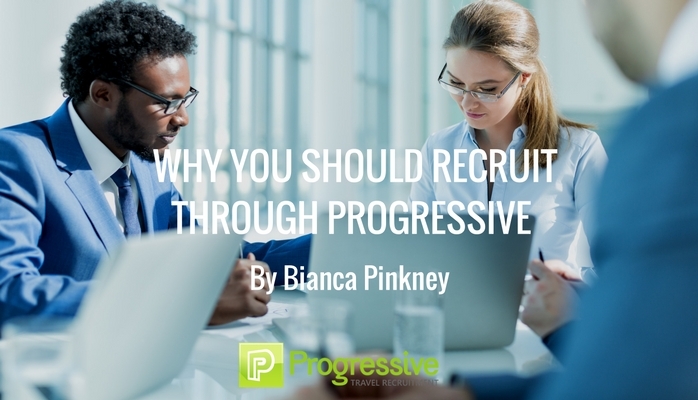 Why use Progressive Travel Recruitment’s services? We know all our travel clients are different which is why at Progressive Travel Recruitment we tailor-make our travel recruitment services to suit you. We provide a high-quality service for all types of travel companies – from small start-ups to large multinationals. We pride ourselves on getting to know your travel business. Our honest, transparent approach allows us to build trust and develop a mutual understanding of your recruitment plan. We want to get a feel for the culture of your organisation, along with a knowledge of the skills and personalities that best suit your business. We conduct our own telephone interviews with potential candidates, before qualifying them for your business. This ensures we only provide staff who are suitably experienced and meet your business needs so that we exceed your expectations. We strive to become a trusted partner for your hiring managers or dedicated HR team. Our global travel industry experience ensures we can match the right travel candidates with the unique culture of your business. Everyone who works for Progressive Travel Recruitment has worked in travel and has hands-on travel industry experience so it’s fair to say we know our stuff. We know and understand which skills are transferrable, as well as the importance of having the relevant experience. Some of the best candidates can be hard to find. They may be passive, or too selective, and therefore unresponsive to traditional travel job advertisements. Perhaps the ideal candidate is too busy to search full time, but they may well have trusted relationships with a specialist travel recruiter. If the right applicant is not currently active in the market, there’s a strong chance that we’ll know who they are and how to contact them. Our service does not end once the candidate starts their new role with you. We provide a follow up service with both our clients and our new starters, to ensure everything is going well and both parties are happy with the process. We provide salary benchmarking, job description templates, interview techniques guidance, and other tools and advice as requested. We know the travel market extremely well, including your competitors, so can advise the best way to attract and retain top travel talent for your business. Looking for a new staff member can be extremely time consuming. Benefit from the time savings and peace of mind of using a professional travel recruitment service like Progressive Travel Recruitment to help manage the process. For all travel recruitment services, contact me or connect with me on LinkedIn. Do I have what it takes to be a travel manager?